There are numerous product types available that claim to keep your home cooler, safer, or better looking. However, most often get considered gimmick products, or they don’t accomplish what they claim on the back of their box. Instead, you can enjoy prolonged protection without spending a fortune. 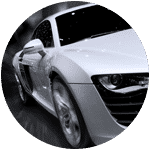 When you choose the best in Mesa, AZ window tinting services, you can see a drastic reduction in home utility costs, as well as improved privacy. 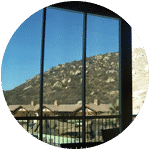 At Window Tint Mesa, we continue providing fast, convenient, and affordable installation services for more types of windows and glass than anyone else. Whether you struggle with a home that stays too hot or uncomfortable commercial building spaces, we have the best solutions for you each time. Why should you and your family continue suffering through the next sweltering summer season? Call our team today and continue feeling cooler for less every day. 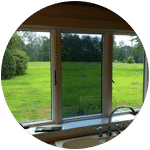 Most homes get built with single-pane windows, which allows more cooled air to escape and hotter temperatures inside. We apply a quick and easy screen that adheres to glass, improving energy efficiency for longer. When your AC unit is costing you a fortune, we help you save. Are your employees always fighting over the thermostat? Do daily cooling costs eat into your profits? We use the same quality products and installations to keep your commercial spaces cooler. When you need a straightforward way to keep workers and customers more comfortable, we’re available every day. 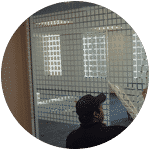 Window screening can also improve the appearance of your home’s interior with decorative applications. Although they create a unique pattern across the glass, it still provides improved heat and sun resistance. When gaudy window treatments and blinds aren’t for you, we make your home appear better for less. 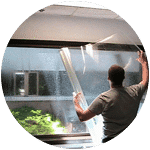 Single-pane windows stay susceptible to even minor impacts. Whether it’s neighborhood kids tossing rocks, birds flying into windows, or severe storms, your windows can easily shatter. And when someone attempts to force their way inside, windows won’t stand a chance. 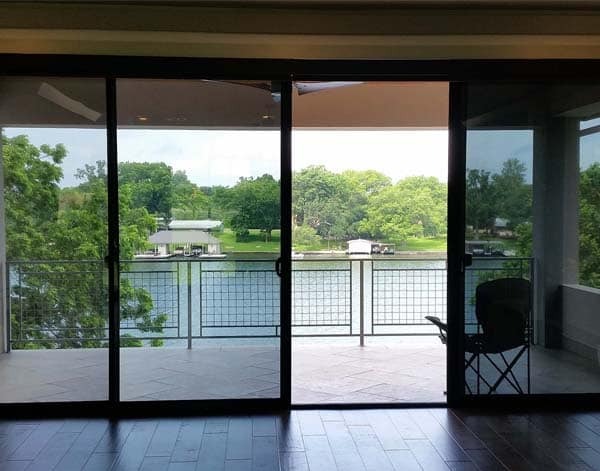 Security film improves resistance without replacement glass. Some people prefer to keep their windows free from tinting screens. However, in these instances, we continue providing better protection for less. 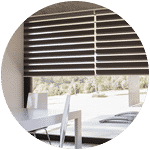 Roller shades are a low-profile secondary treatment system that filters sunlight without adjusting your windows. They rely on neutral tones that fit in any room type. Even if you leave your car’s windows partially open, the interior temperature can increase hundreds of degrees. Although you could buy a windshield screen, it only partially filters sunlight. Instead, we provide affordable and effective auto glass tinting that lasts, keeping you fresher for less every day. If you’re tired of sweating in your living room or you need to lower your energy costs now, you need us helping you. Call Window Tint Mesa today for affordable window tinting solutions. We provide free estimates upon request. See what you can save on improved sun protection.